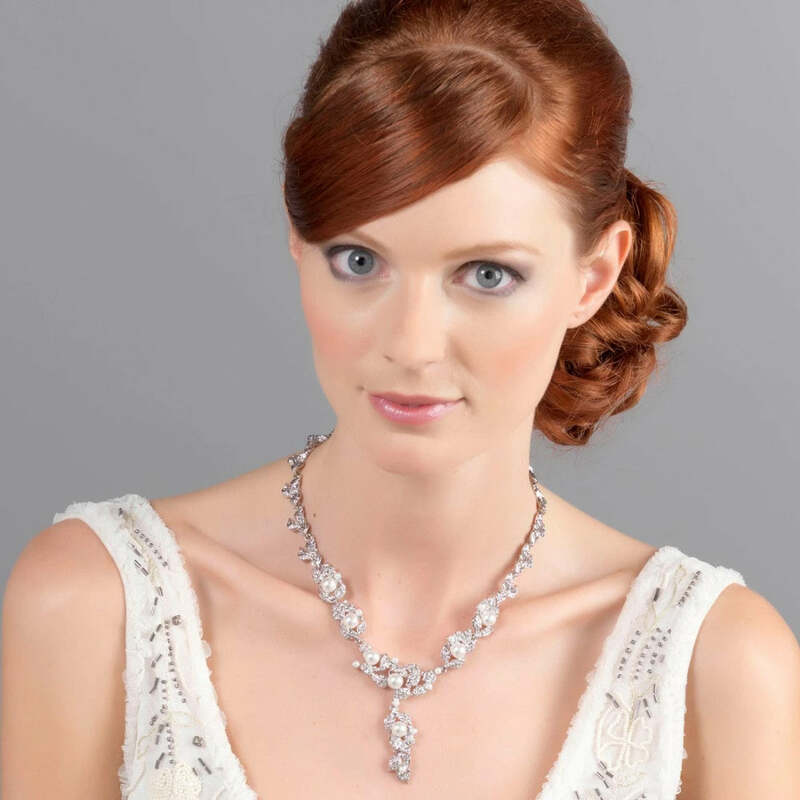 A beautifully glamorous jewellery set featuring crystal drop and pearl clip on earrings and a Y necklace - perfect to complement a vintage bridal style. 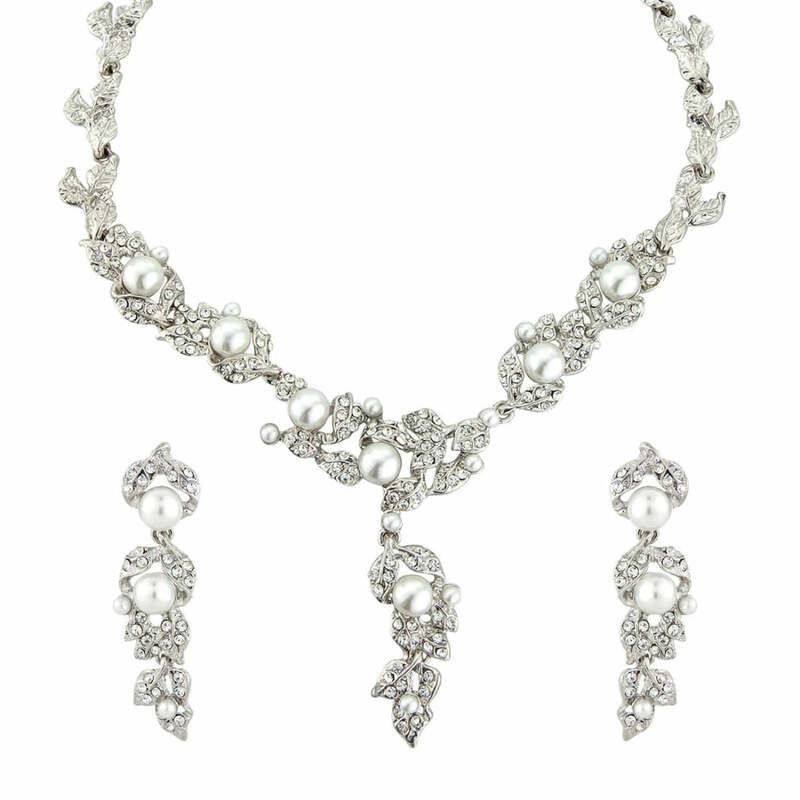 Combining light ivory faux pearls and glittering Austrian clear crystals, Extravagant in Pearls Jewellery Set harks back to the elegance of the late 1940s and early 1950s. 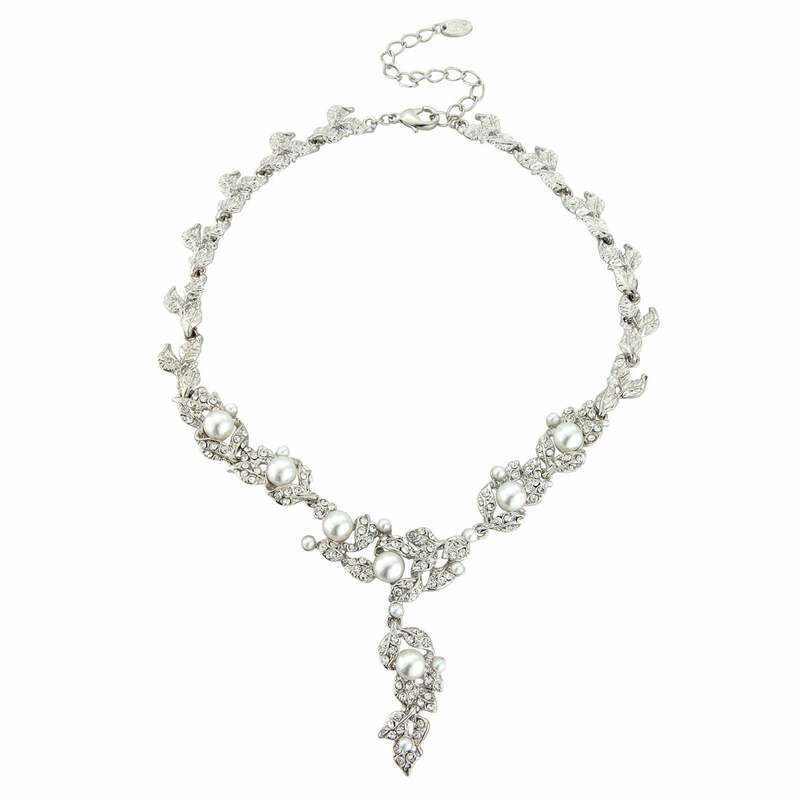 Classic and full of classic glamour, this gorgeous Y necklace and clip on earrings set features petite silver tone vines leaves with the most exquisite detail. 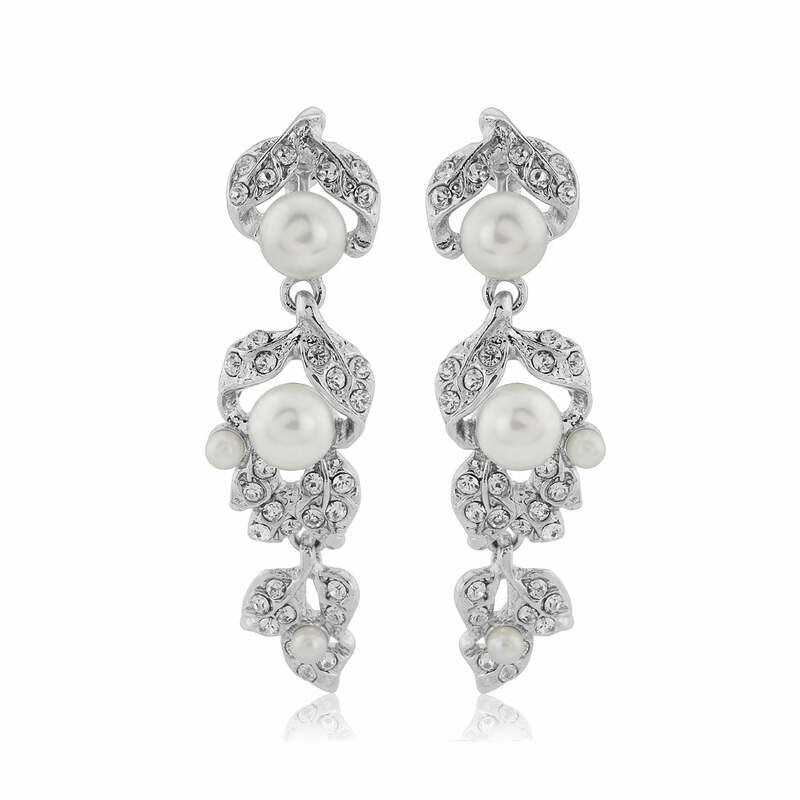 If you are a bride with non-pierced ears who adores wedding jewellery sets with clip on earrings that are reminscent of vintage designs but with a chic moden touch, this is the perfect choice. A stunning duo to enhance pearl detailing on a beautiful gown or to emphasise the femininity of a deep V fronted dress, its timeless style makes this a two piece that will be worn time and time again after your special day. Not just for weddings, Extravagant in Pearls will add a stylish touch to an array of special occasion outfits. Dress up a LBD with the chic elegance of Audrey Hepburn or accessorise a show-stopping evening dress for a glitzy black tie ball or prom.